Update, Apr. 20: On behalf of its clients, Earthjustice filed a motion in the U.S. Court of Appeals for the Tenth Circuit seeking to halt the suspension of the Bureau of Land Management's Waste Prevention Rule. Earthjustice is representing the Sierra Club, Natural Resources Defense Council, Western Organization of Resource Councils, and The Wilderness Society. Read more. Lois Bower-Bjornson lives in Scenery Hill, Pennsylvania. Her home is surrounded by well pads, compressor stations, and multiple pipelines. No one voted for dirtier air in the last election. But the Trump administration and anti-environment extremists in Congress made as one of their priorities an attempt to unravel the Obama administration’s regulations on methane pollution—a safeguard that protects tens of thousands of Americans. It is one of the most dangerous byproducts of oil and gas operations. Methane traps 86 times more heat in the atmosphere than carbon dioxide in the short-term, fast-tracking the consequences of catastrophic climate change. Methane is often accompanied by toxic air pollutants such as benzene, formaldehyde and ethylbenzene, threatening the health of residents living near oil and gas operations. What is the oil and gas industry’s role in methane pollution? Each year, oil and gas companies leak or deliberately vent nearly ten million metric tons of methane into the atmosphere during oil and gas operations. $1 billion is wasted every year from the leaks. Is there a solution to the methane problem? Yes. There are proven, low-cost solutions to cut this dangerous and wasteful pollution. In May 2016, the Environmental Protection Agency put federal safeguards in place to limit the amount of methane pollution from new and modified sources in the oil and gas industry. Just months later, the Bureau of Land Management finalized a waste prevention rule, which will require oil and gas companies to reduce venting, flaring and leaks from industry operations on our public lands. Together these crucial protections reduce air pollution—protecting public health, future generations, and taxpayer dollars. Who is protected by the BLM Methane Rule? We all are. Methane is the second-biggest driver of climate change. Reining in methane pollution will help to mitigate the worst effects of climate change—from droughts and wildfires, to sea level rise and flooding. 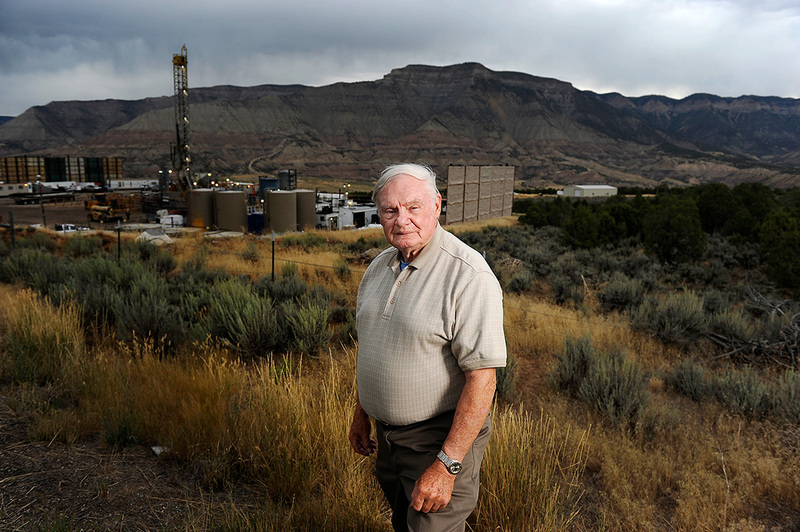 Arrington, at a drilling rig near his home in Battlement Mesa, Colorado, on August 25, 2016. One of his first jobs out of the University of Colorado was designing air pollution control equipment for industrial, chemical and power plants. 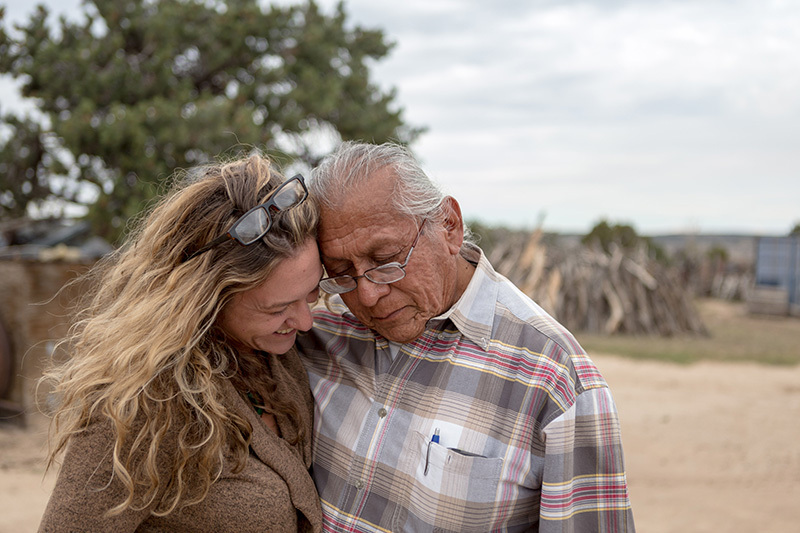 Now living in Battlement Mesa, he’s putting his years of expertise to use—working to protect himself and his community from methane and other air pollution from nearby oil and gas operations. Oil and gas operations near residential areas in Colorado. 80% of voters in Western states support cutting methane waste on public lands, according to a 2016 poll by Colorado College’s State of the Rockies Project. Oil and gas operations near residential areas in Colorado. 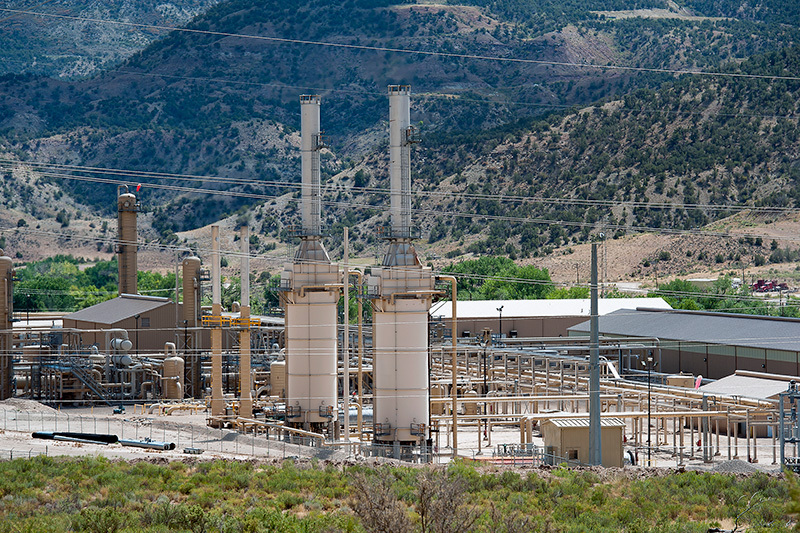 The Four Corners region ranks first nationally for methane pollution. Two of the most important things to Barnesville, Ohio resident Terri Schumacher are her faith and her grandchildren, including her two-year-old granddaughter who lives with her. But keeping up with her granddaughter has gotten more difficult in recent years. She uses an inhaler and has had increased difficulty breathing ever since the oil and gas industry began operating nearby, prompting her to participate in a Yale University study monitoring her indoor and outdoor air quality. Oil and gas operations near Schumacher's home. Schumacher, with her granddaughter. The pond behind them filled with debris from a pipeline project during a rainstorm. 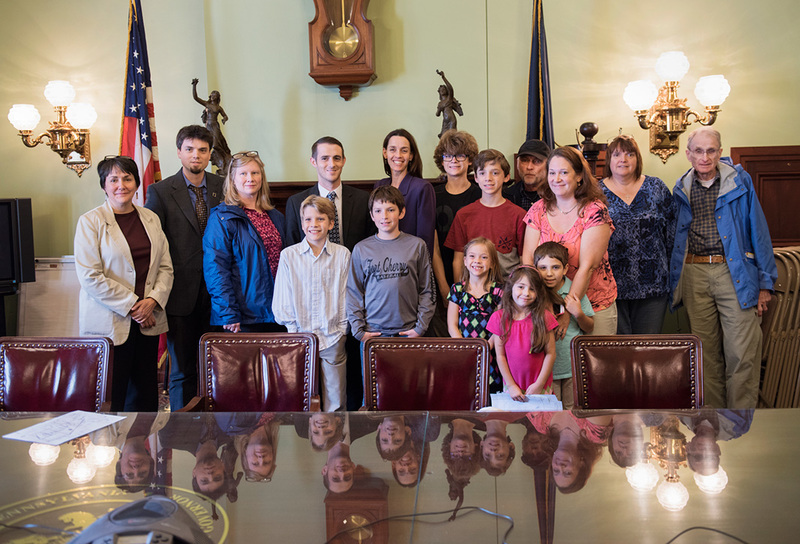 A small group of Clean Air Council members, led Lois, traveled from Pittsburgh to Harrisburg on October 13, 2016 to spread their message at the State Capitol building and to promote safer practices for oil and gas companies. Lois Bower-Bjornson is the mother of three boys and one girl and lives in Scenery Hill, Pennsylvania, about 40 minutes south of Pittsburgh. 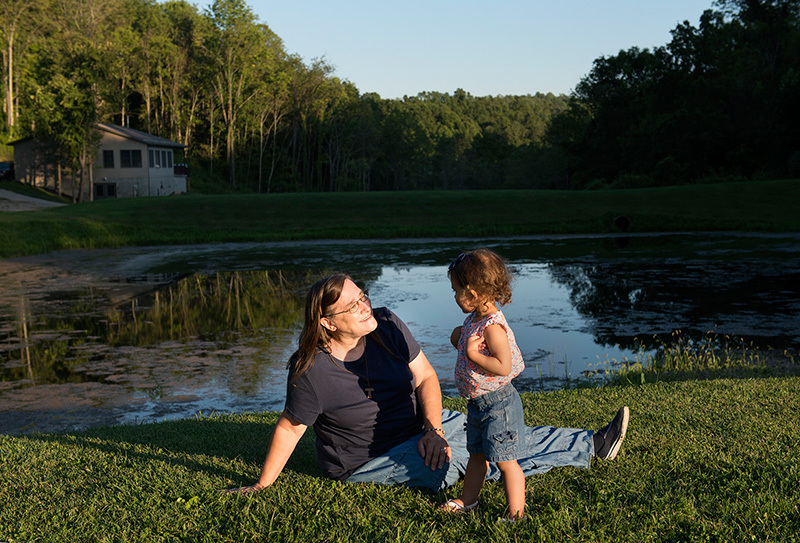 Lois owns two small businesses and lives in the Marcellus shale field where natural gas development is rampant. Lois’s home is surrounded by 30 well pads, three compressor stations, and multiple pipelines. She has been working to protect her children from air pollution from gas development for the past four years. 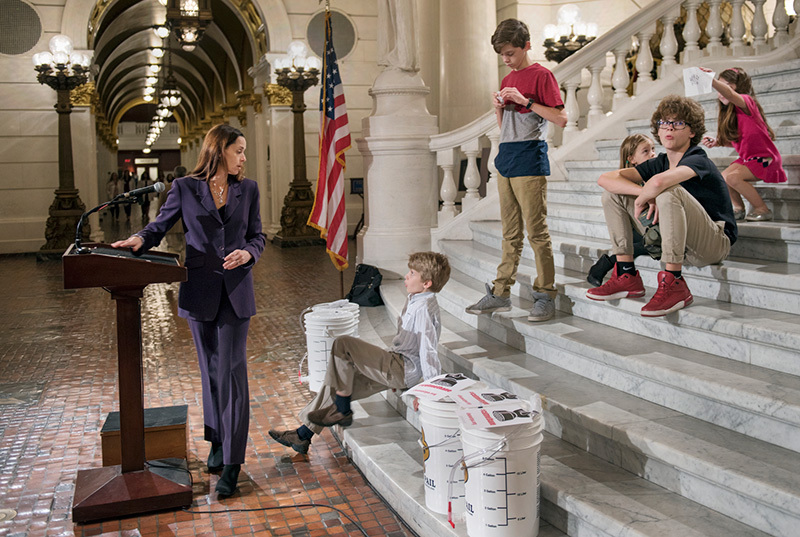 Lois has provided testimony at U.S. Environmental Protection Agency hearings and traveled to Washington, D.C., to meet with elected officials, and to Harrisburg to meet with Governor Wolf’s staff. On the steps of Harrisburg's Capitol, Bower-Bjornson and Clean Air Council members spoke about the health threats from dirty air caused by gas drilling and extraction. They brought with them plastic containers filled with Pittsburgh's polluted air. Oil and gas operations less than a quarter mile from Bower-Bjornson's home in Pennsylvania. Tso, outside of Counselor, New Mexico, in the San Juan Basin. 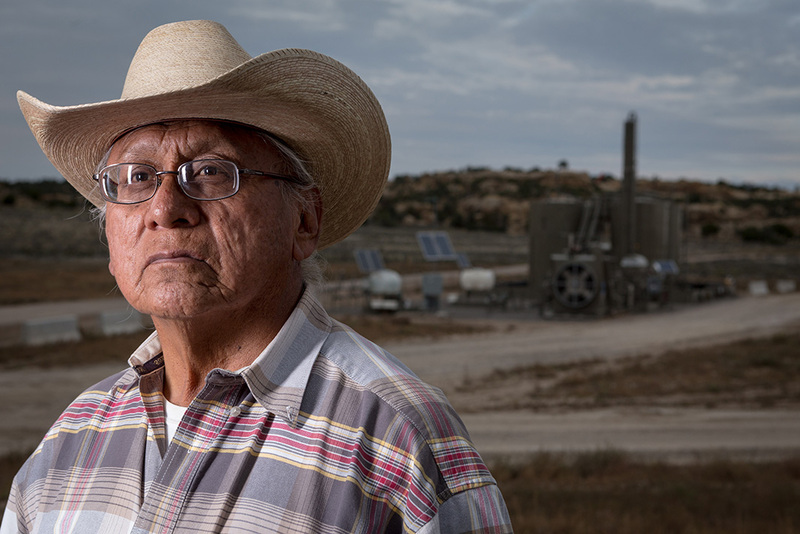 Navajo Community leader Daniel Tso has watched as oil and gas operations have encroached more and more on his community’s tribal lands. He has seen the flames at drilling sites as methane is burned off in wasteful flares, smelled the chemical odors filling the air, felt the residue of grease and smoke from the flares on his skin. And he is standing up to protect his community by supporting protections like a rule the Bureau of Land Management has adopted to reduce air pollution from oil and gas operations on federal and tribal lands. 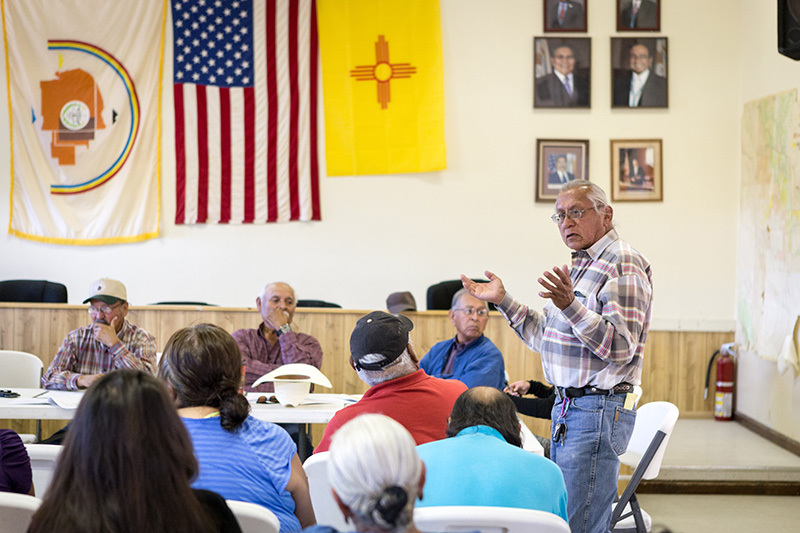 Tso speaks during a meeting at the chapter house in Counselor, New Mexico, where the Bureau of Land Management heard public comments on proposed new sites for leasing rights to additional drilling in the San Juan Basin. Tso, with a supporter outside the BLM public meeting. The mother of two daughters, one with epilepsy and a second on the autism spectrum, Kristi Mogen works hard to minimize her family’s exposure to chemicals. 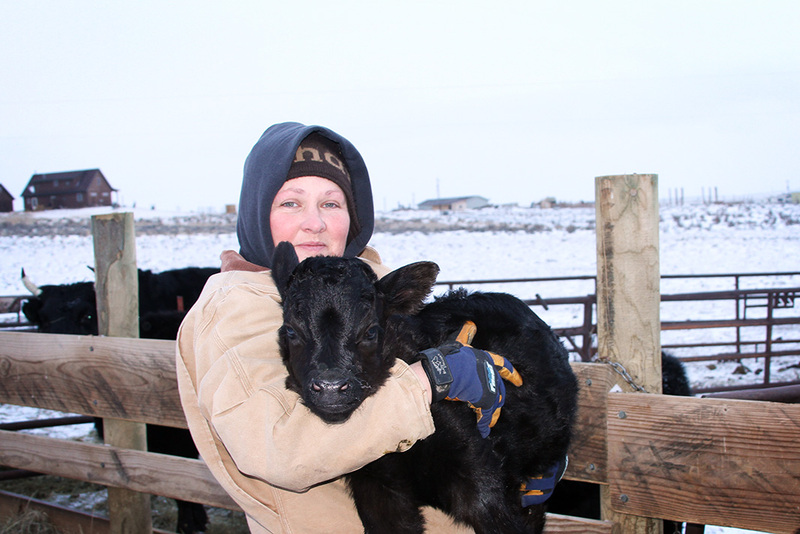 She grew up on a farm in South Dakota and now lives in Douglas, Wyoming, where her family’s grass-fed cattle herd and organic garden supply the family with plenty of fresh, healthy food, free of dangerous chemicals that could worsen her daughters’ conditions. 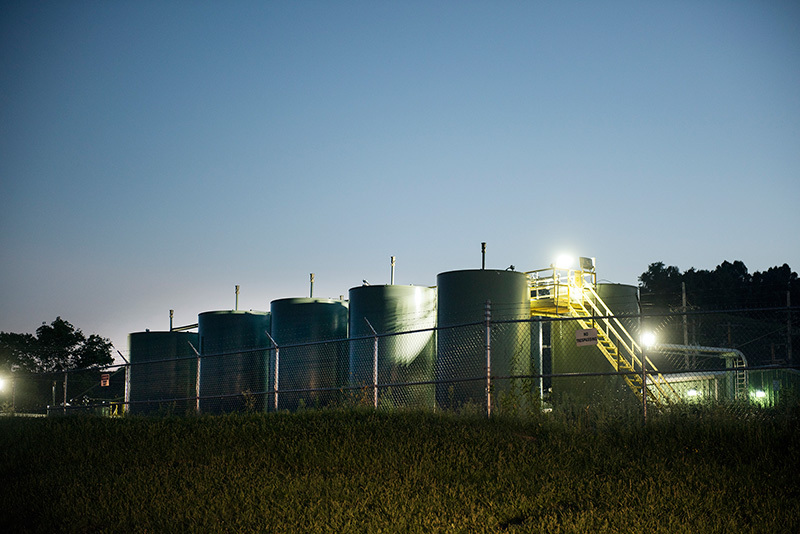 But on April 24, 2012, a nearby well that Chesapeake was drilling suffered a blowout, sending a plume of vaporized “drilling mud” chemicals into the air. The family evacuated, covering themselves in protective clothing, hats, gloves, sunglasses and bandanas before driving away with the windows closed. Kristi’s years of hard work to protect her daughters from chemical exposure was undone in an instant. That afternoon, the family began getting nosebleeds. Kristi’s younger daughter suffered 29 straight days of nosebleeds, sometimes several times a day. Her husband’s blood tests revealed that he no longer had detectable levels of testosterone. Since the blowout, Chesapeake has continued to vent and flare pollution into the air. Despite a community uproar, state regulators with the Wyoming Oil and Gas Conservation Commission have fined Chesapeake a mere $1,000. 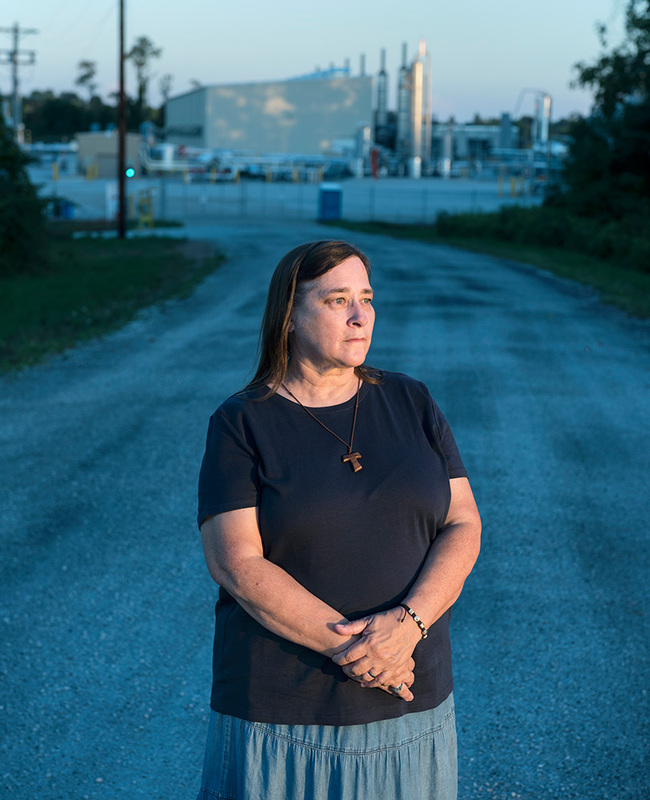 Prior to her experience with Chesapeake and the WOGCC, Kristi thought that regulation of the industry should be left to the states. She doesn’t believe that anymore. That is why she is took her story to lawmakers and policymakers in Washington, D.C.
Our bodies should not be the dumping ground for dirty industries. The technology to dramatically reduce harmful air pollution is available today, and major polluters should be required to use them. Earthjustice has worked for decades to clean up the oil and gas industry and hold it accountable to the highest standards. 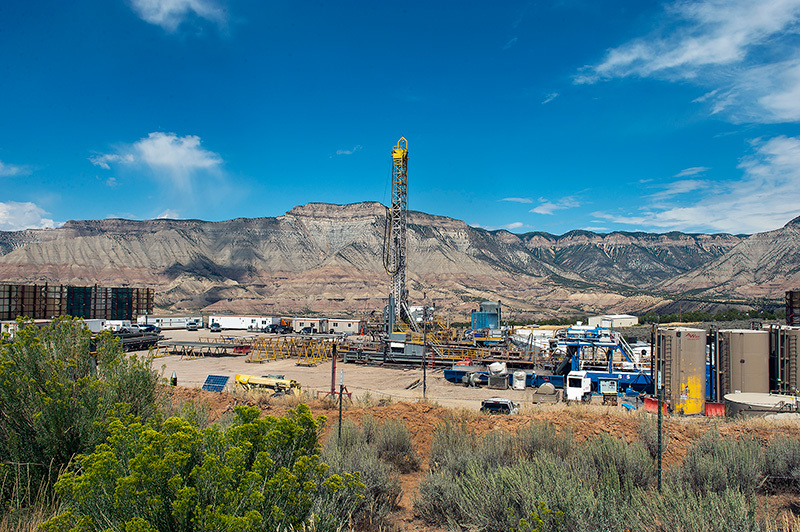 We are now defending the BLM Methane Rule in court and on Capitol Hill. “It's past time for oil and gas companies to embrace best practices that could make the difference between catastrophic climate change and a secure future on a livable planet,” said Earthjustice President Trip Van Noppen. 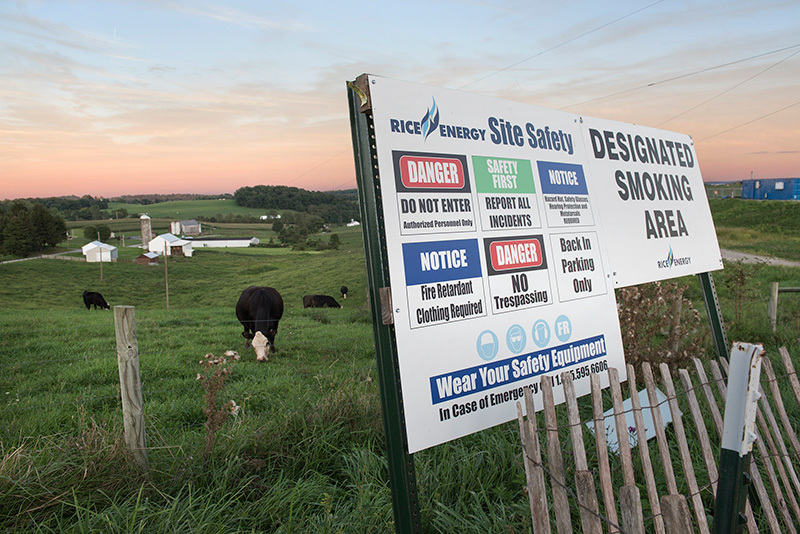 By reining in methane pollution, we can combat climate change and build healthier communities. We must oppose these rollbacks. Anti-environment extremists are putting health problems, premature deaths, and environmental hazards back on the table in favor of profits for industry, leaving average Americans to face health and environmental problems.